Every Keralite knows to make nadan mutta roast. 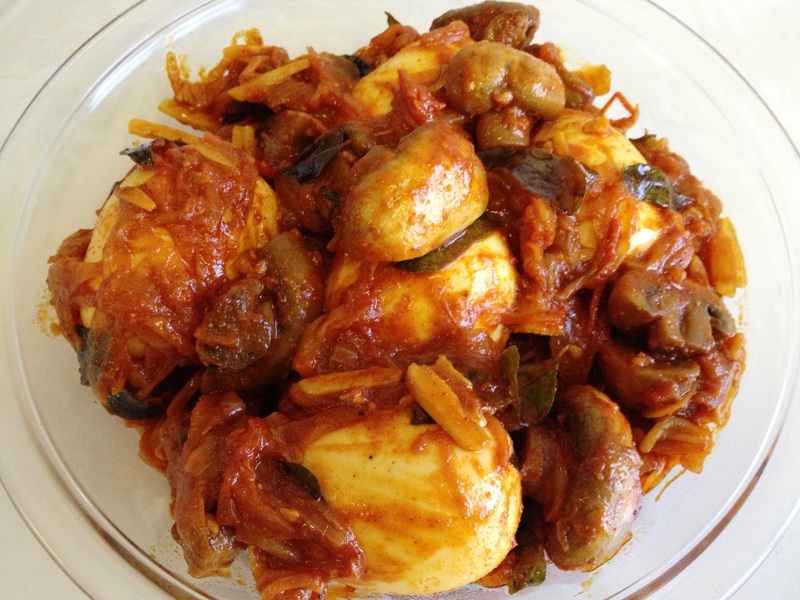 For those of you who know the recipe, try adding boiled mushroom to it and let me know the egg tastes better or mushroom. Those who are new to egg roast, please see below recipe. Boil 2 cups of water and add the cleaned mushrooms. 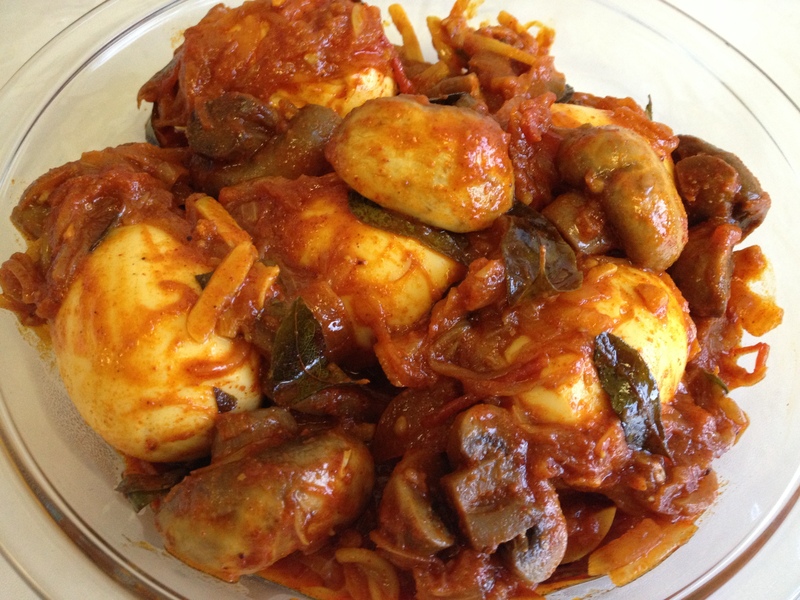 (If the mushrooms are very large, cut them into 2). Drain after 2 minutes and keep aside. Heat oil and saute onions, ginger, garlic and curry leaves. Add little salt at this point. When onions turn almost brown, add the dry powders and saute for 1 min till the raw smell goes. Add the tomatoes, ½ cup water and the mushrooms. Check salt. Cook covered for few minutes. Mix well so that the tomatoes become mushy and oil starts to separate. Add boiled egg and mix well.